Video DVD Software Guide & Faqs about DVD burners, rippers, converters, editors etc. Flash Decompiler Trillix for Mac Guide - Mac SWF to FLA Converter - Not only convert Adobe Flash SWF files back into FLA format, but also extract all objects (images, sounds, video, shapes, text, morphs, ActionScripts, etc) used in SWF files into various file formats. ImTOO DVD to iPod Suite Guide - A powerful iPod video converting tool which can convert DVD and video files to iPod MP4 video format. Lenogo DVD Movie to iPod Video Converter Guide - Convert almost all kinds of DVD to iPod video (mp4) format in high speed, and support various crop mode. Cucusoft iPod Movie/Video Converter Guide - Convert almost all video format, e.g. DivX, XviD, MOV, rm, rmvb, MPEG, VOB, DVD, WMV, AVI to iPod Movie, iPod Video format. WinAVI Video Converter Guide - Convert videos as AVI, DivX, XVid, ASF, WMV, RM, QT, MOV and Flash to MPEG1/2, VCD, SVCD, DVD and burn to VCD, SVCD, or DVD disc. iPod Media Studio Guide - Convert videos as AVI, MPEG1, DivX, XVID, VOB, ASF from all drives like harddrive, CD, DVD, removable and encode them to iPod. 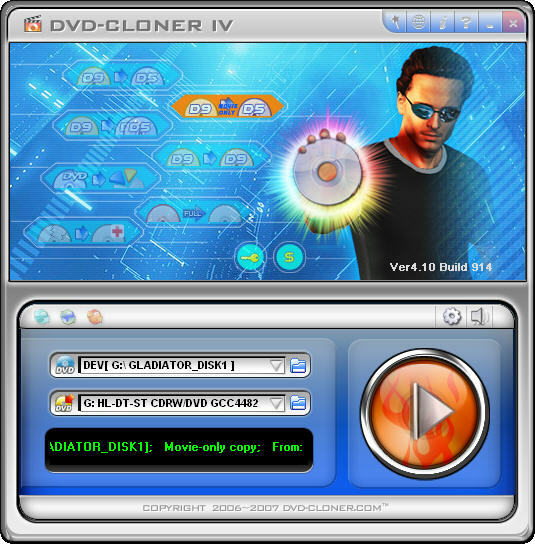 DVD-Cloner Guide - Backup your favourite DVD movies to DVD disc with real 1:1 copy, no restrictions as CSS and region code, also enables to copy chapters, subtitle, and audio. WinAVI DVD Copy Guide - Copy any DVD disc, including the ones with CSS-encryption, with a high quality and speed, and enables to select the copied contents. Flash DVD Ripper Guide - Converts DVD to AVI, MPEG, VCD, SVCD videos, and supports NTSC and PAL setting. You can select entire DVD or any duration to rip. Pocket DVD Studio Guide - Record video files(wmv, avi, mpg, mpeg, rm, rmvb, Tivo2go, etc) and DVDs into portable format(wmv, avi)playable on your device. 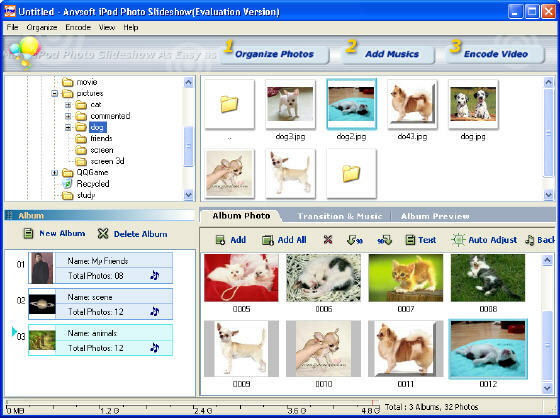 AnvSoft iPod Photo Slideshow Guide - Produce professional-looking photo slideshow and share the slide show on iPod, add pictures and music as background etc. Ultra DVD Creator Guide - Create DVD VCD SVCD Video Disc from almost all formats of video files including AVI, DivX, XVid, MP4, MPEG, DAT, ASF, WMV, MOV, QT, etc. Cucusoft Mpeg to DVD Burner Guide - Burn MPEG files to a DVD that can be played on DVD player. It has a built-in DVD author and supports all popular brands of DVD writers. DVD Burning Xpress Guide - A DVD authoring tool combined with video editing and DVD burning that can burn your home movies onto DVD discs. Sothink SWF Decompiler Guide - A leading Flash decompiling tool to catch, decompile, view, and extract Shockwave Flash movies, and convert SWF to FLA.
All-into-One FLASH Mixer Guide - Helps you to design wonderful flash, join Flashs, picture files and text into a single Flash file with drag and drop. 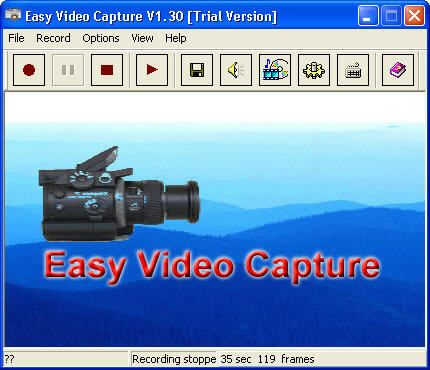 Easy Video Capture Guide - Record screen activities of video, audio, and cursor into AVI video, record DVD, RM, VCD to AVI, and make slide-show training documents, etc. 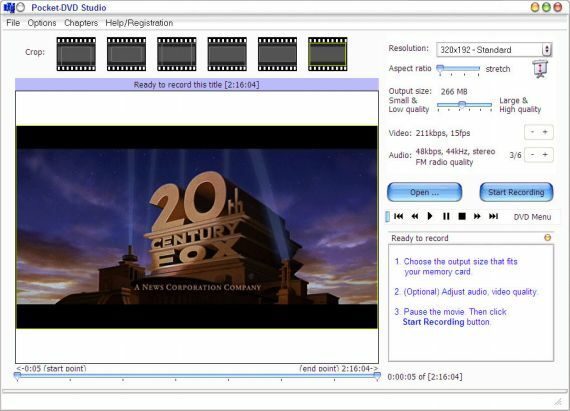 HDX4 Player Guide - Consists of a HDX4 decoder and a video player, this software can playback MPEG4 videos and other container formats like MP4, AVI, 3GP, MKV. WinAVI 3GP/MP4/PSP/iPod Video Converter Guide - Convert almost all video formats, for e.g., DivX, XviD, MOV, rm, rmvb, MPEG, VOB, DVD, WMV, AVI to iPod, PSP, MP4 player, smart phone, etc. PSP Media Studio Guide - Convert DVD to PSP in a speed of 300% with high PSP video quality, it supports subtitled, full screen landscape mode, and has an encoding package installed. WinXMedia AVI/MPEG iPod Converter Guide - Convert AVI(DivX, XviD, MPEG-4, YUV...), MPEG1 MPEG2 WMV ASF video to iPod video files, split large files to multi-volumes, and has a video player built in. MP4 Converter Guide - A video to iPod converter support convert popular video formats: *.avi, *.wmv, *.asf, *.asx, *.mpg, *.m1v, *.m2v, *.m2p, *.vob etc. to MP4 iPod video format. Lenogo DVD Movie to PSP Video Converter Guide - Directly convert DVD to your PSP in high speed and wonderful quality, and enable to select subtitle and audio track. WinXMedia AVI/WMV MP4 Converter Guide - Convert AVI, MPEG1, MPEG2, WMV, ASF video to MP4 video, split large files to multi-volumes, and support MP4 video with AAC audio. ImTOO PSP Music Suite Guide - Rip and convert audio CD to PSP music, convert popular videos and audios as DVD, VCD, WMV, MPEG, AVI, WAV, WMA, OGG to PSP MP3 format. Xilisoft 3GP Video Converter Guide - Convert video files between DVD, VCD, SVCD, MOV, RM, AVI, MPEG, WMV, 3GP, etc, convert videos to audios as MP2, MP3, AC3, RA, M4A, OGG, AAC, etc. 123 DVD Clone Guide - Copy DVD movie to DVD R/RW disc or hard drive, Burn DVD from DVD-Video folder (VIDEO_TS) on your hard drive. A-one iPod PSP 3GP Video Converter Guide - Converts video such as RM DivX, AVI, WMV, MPG, MPEG, ASF, MOV, ASX, SVCD, VCD into iPod mp4 files, PSP, 3GP, MPEG2 files, PMP files, PDA files. Gogglebox TV Guide - Hundreds of free channels streaming straight to your pc screen.No need for satellite dish or cable. Live TV Player Guide - Live TV Player allows you watch TV on your PC, and gives you thousands of FREE TV channels. A-one Video Joiner Guide - It supports converting or joining almost all popular Video format files including AVI, DivX, XviD, MPEG, WMV, MOV, RM etc.